The Sandwich Arts Alliance prides itself on being the oldest town with the newest works. Betsy Mangan and Karen McGarr are Alliance members who wrote this comedy while participating in a Pilates Class with four other women. 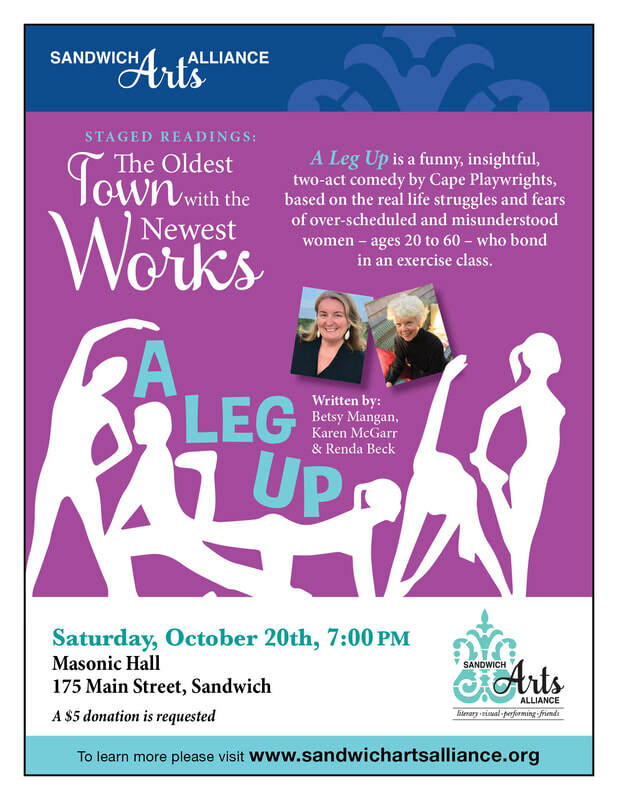 We are showcasing their talent as well as bringing to a Sandwich audience a very funny two act comedy based on the real life misadventures and fears of today’s over-scheduled and misunderstood women who bond in an exercise class. Women will identify with the themes and characters developed in this comedy as the characters struggle to come to terms with their lives and their bodies. Reflecting different ages, backgrounds, and levels of fitness, they quickly bond while trying, with varying degrees of success, to master the challenging exercises. Physical comedy, along with hilarious commentary, is juxtaposed with the serious efforts of these women to build their strength and confidence and achieve new insights into who it is they wish to become. The characters range in age from 20 to 60 and include a nurse, teacher, lawyer, widow, and a fitness instructor, a really irresistible mix of personalities and prejudices! A staged reading is performed with scripts in hand, but with some blocking, minimal set props, and a reading of stage directions. The audience is encouraged to provide feedback either that evening or through an email exchange with the playwrights.This staged reading is an original play by three Cape playwrights.